2 images. 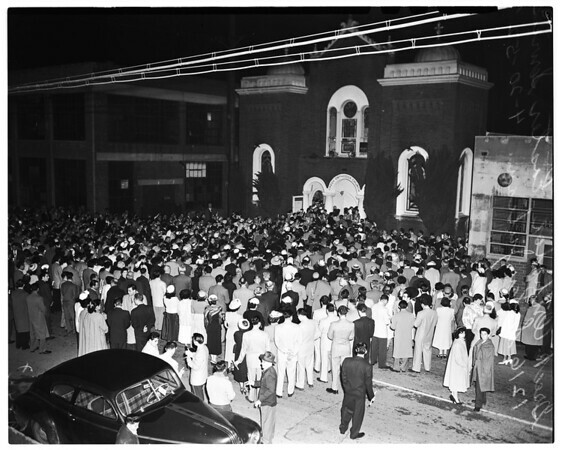 Greek Orthodox Easter ...1216 S. San Julian, 20 April 1952. People gather and hold service just outside of their church celebrating easter. All hold lit candles, with which they will carry the Holy light home and keep it lit for the next 40 days.